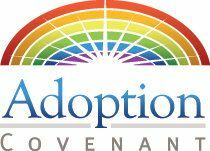 Adoption Covenant differs from many adoption agencies in that we combine the dossier preparation process with the homestudy in an effort to reduce the time and expense of adoption. Upon acceptance of your application, we will immediately begin the process of gathering information for both your homestudy and your dossier (for the foreign government). Our goal is to have both your homestudy and dossier completed in record time. We understand that every day of delay is a day that a precious child is separated from his or her new family. Our commitment to speedy completion of your homestudy is the same regardless of whether Adoption Covenant serves as your placing agency or not. We work with other agencies on a regular basis and provide homestudy services throughout the State of Texas. We are experienced in preparation of homestudies for most international adoption programs and will work closely with your placing agency to make certain you homestudy meets the requirements of the country you have chosen. We have found that we are often faster and less expensive than the agencies which might be located closer to your home. Please call us to discuss your options.